Thermoplastics are some of the most widely used soft plastic materials used in the market. Found in thousands upon thousands of products, manufacturers around the world have recognized this material for its use in consumer applications. The flexibility of applications for thermoplastics is growing each day. Thermoplastics are an ideal solution for household products because they are heat and cold resistant, they can be shaped into any conceivable design and they have an appealing look and feel. One of the most common uses for these types of plastics is in the grips of products. Given the grippy and tactile nature of the material, it’s perfect to enhance ergonomic qualities and features. 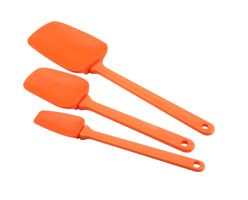 For example, it’s typical to see mixing spoon handles made with thermoplastics. Grab any utensil from your kitchen with a soft touch handle and it’s likely made using these types of thermoplastic elastomers. From rigid plastic used for some kitchen knives to soft, rubbery material used for child safety forks and spoons, TPEs prove time and time again to be the right material for the job. Countertop appliances also commonly employ TPEs. You can find these plastics used in everything from blenders to food processors. Thermoplastic elastomers are very durable, food safe and withstand the rigors of daily use in a busy kitchen. Even larger kitchen appliances feature TPEs in their construction and design. 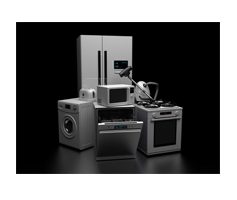 Dishwashers, stoves, etc., all use thermoplastics to some degree. For example, when you use your refrigerator’s drink dispenser, there’s a good chance that the activator or even the tubing are made using this type of plastic.